God commands women to be keepers at home. We are to work hard in our homes. Work is good for us and what God intended for us. He tells us that “whatever [we] do, do it heartily as to the Lord” (Colossians 3:23). This includes working hard in the home. It’s not doing our “chores” quickly so we can get back to scrolling through Facebook or Instagram or watching TV or shopping just to go shopping and spending more money. No, it’s doing our work in the home as best to the best of our ability. I knew a woman years ago who was married and had no children. She did everything she could to make sure she had as little housework as possible. She bought her husband polyester shirts so she wouldn’t have to iron them. I remember thinking how odd this was since she had no children and she didn’t have a job. Why did she try so hard to make so little work at home? Many women do this, however. They cook food from packages or get fast food, dry clean their clothes, use housekeepers often even though they don’t need them, and other things like these so they don’t have to work much at home. I understand why career women would do these things since they are home so little but why would full-time keepers at home do this unless they were ill or injured and couldn’t do these things? We already have so many things to make our work easier at home from dishwashers, to washing machines, dryers, ovens, running water, refrigerators, stores to buy our food, and so many other conveniences. I think this is why women get easily bored at home. No, we aren’t to be “busy” by getting our hair and nails done frequently, going to appointments, shopping to shop, and running here and there. We are to be busy at home but how can we do this when there’s not much to do because of all of the modern conveniences? If a mother has many children, then she will automatically be busy taking care of them but what about those who don’t have many children and are easily bored at home? I encourage you to be intentional about making your home a place of beauty and order. 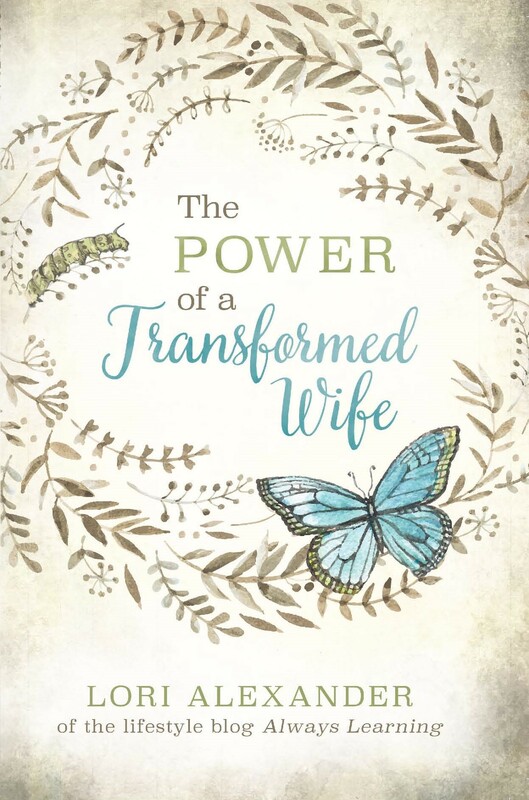 When you are being a keeper at home, you are glorifying the Lord, just as when you love and obey your husband, love your children, are being sober, chaste, discreet, and good. All of these bring glory to God and adorn His Word. Buy the best ingredients that you can for your family. Fix nourishing food that is delicious. Spend time in creating good food for your family from scratch. Clean up as you go. Teach your children how to cook and clean as well. Don’t hurry through this process since this is what God calls you to do. Do it heartily as unto the Lord! My sister loves to cook and she cooks a lot: healthy, nourishing food from scratch. As she cooks, she prays over those she is cooking for and praises the Lord for His abundance to her. What a wonderful thing to teach your children! When you make your bed, clean the bathrooms, fold the laundry, vacuum, dust, organize, clean the refrigerator, garden, sweep, and all the other household work that is required for a home to stay beautiful and in order, do it all as if you were doing it for the Lord Himself because you are! This is His calling on your life along with raising those precious children He has blessed you with and caring for the husband that He has given to you. Let your children see the joy of the Lord as you work in your home. Don’t ever make it out to be a chore but something that is good and right. God calls us to work hard and the place He has called us to work hard is in the home, so do it with all of your might, do it carefully, and learn to enjoy it. God wants us to be full of joy no matter what we’re doing whether it’s cleaning toilets or changing a dirty diaper. Just having toilets to clean is a blessing (sanitation helped our lives immensely) and we know that children are a great blessing from Him. The joy of the LORD is our strength! Families don’t need grumpy mothers. They need joy-filled mothers who build their homes up instead of tearing them down. Learn to truly enjoy being a keeper at home, dear women. This is God’s perfect calling upon your lives. Sad too many just want a sugar daddy to marry while she lounges around, yet, it’s not acceptable for a man to just not work “just because” and have a sugar “mommy”! The husband must now bow down and cater to the wife through the propaganda of radical feminism and female supremacy, he can never poke fun at her, or state the truth, or have his way… It’s now the “yes, dear” generation of men being raised by bitter single mothers. Hyper feminized soy boys who cannot be protectors and providers and were raised from boyhood to be servants to women! It’s never the woman who must bend, concede, honor, not mock her husband behind their back, and cherish even the title of “Mrs.” and implicitly, that of even being a wife! Very messed up! Yes, feminism, which is completely opposed to everything that God commands (I just read that all of the leaders of feminism were anti-God and anti-Christianity which makes perfect sense) and has turned everything on its head. I have many dear friends that are Christian women that do exactly what you said- they have housekeepers, do as little as possible, & do Hamburger Helper for their working husbands. I’d almost think you were peeking into their homes with their dry clean piles, Rumba vacuums, & busy social lives. I’m often teased about ironing my husband’s work clothes. Not in a mean way, but, “I don’t even own an iron! Aren’t they okay out of the dryer?” I always tell them that I like the crispness of ironed clothes and I want him to look nice and professional at work. My husband tells me that most of his co-workers look like they pulled their clothes from a laundry basket….. I just need to look back on my Grandma to see God’s perfect homemaker. Up at 4am so that my Grandpa had a wonderful meal awaiting his return (he worked nights). She did all the noisy things early so that the house was peaceful and quiet while he slept. She did the dusting, laundry, ironing, & gardening during that time. Then she settled into her comfy chair in the afternoon to crochet or sew until he woke up. When I was young, I knew her routine perfectly. Her home was the coziest refuge I knew. She truly blessed all of us that passed through there. (and she blessed us all as we left lol. “God Bless you!”, she’d call out as we walked out the door!) I was blessed to live with them for most of my elementary years. They were also the reason I attended church regularly. My Grandma taught me to pray. I never wanted to go home to the complete lunacy there. What a wonderful Grandmother you had, Debby! You were blessed to have her as an example of biblical womanhood; one who loved serving her husband and children in her home. This is rare these days. Debby, that is so beautiful! Thank you for sharing your grandmother with us. You know, I shake my head whenever I hear that expression “Well-behaved women seldom make history”. I find myself thinking of women like my mother-in-law, whose life of service is much like your grandmother’s was. Such women make plenty of history; they influence a generation and more. What better “history” is there?? Thank you for the great post, Lori, and blessings to you both! Lori I so loved this post! When I first married I was a tomboy who always helped my father work outside and had paid little attention to how my mother ran her house so efficiently. I spent those first several years of marriage completely overwhelmed by the most basic tasks, and feeling resentful that what I did manage to do never stayed done! Now I truly enjoy keeping my house (although learning good routines and consistency is still an ongoing process!). When it is orderly and beautifully pulled together I feel so much peace and a sense of real accomplishment. I have wondered recently though–how does one manage in the midst of illness? I know you have experience with being very ill–were your children very small when that began to affect you? Do you have any practical advice for how to manage a household (and a gaggle of toddlers!) well when you can hardly drag yourself off the couch because you feel so unwell and so much discomfort? Train your children to help as soon as they are able. When they are young, they want to help so let them! The more trained they are to help, the easier it will be for you. One must also let go of expectations when they are ill. I look back on all of those sick years and raising children and I know it was only by God’s strength and mercy that I was able to pull through. He always provides us with what we need. J, if you don’t mind me poking in, let me tell you that at 56, I STILL change my routines up. I change them seasonally and as things in our lives dictate. There was a time when I LOVED cleaning the whole house top to bottom in one day. Pardon me while I roll on the floor laughing. I couldn’t do that now if my life depended on it! The key, in my experience, is that when something isn’t getting done or you’re feeling frustrated, a new plan might be all it takes. It does wonders! Hello, dear Lori. I truly enjoy being a keeper at home, and I truly enjoy reading your encouraging posts! I feel so motivated and energized to get to work in my home today! THANK YOU 😊. I also appreciated your you tube yesterday. I aspire to be that kind of older woman to my grown daughters in their time of need, just like your wonderful mother was to you. Thank you, Holly! God’s calling on our lives is so good and perfect. I just want all women to know about them! For some women, the keeping house part might never be something they enjoy, despite prayers. For some mothers, it is just a job, same as their husband goes to a job that may not be his “Dream job.” Some posters do not agree, but I think some “me time” is essential in the day or week. We are not puritans who think anything enjoyable is sinful. Reading novels, writing stories, working out, doing a devotional, doing a hobby like crafting or sewing or tinkering with electronics (whatever your hobby is lol), going on a walk, etc. can be a blessing. When you have children who are old enough, you can ask them to teach, play with, or mind the baby while you spend some time doing what you enjoy. Many husbands (I can’t speak for all obviously, and expectations kill relationships) or single/empty-nester relatives will even pitch in to give mom a little break here and there. It’s a daily choice they must make, Kate, just as it is a daily choice to be cheerful. We all get to make choices and a good choice is to learn to enjoy the work that God has given to us and do it “heartily” as unto the Lord. Heartily means “with zeal; eagerly, freely.” IF we really believe that as we do our housework, we are serving the LORD, then how could we not do it joyfully? Solid points! I especially like your call to enjoy the work. In life there will always be work, so best to find a way to enjoy it! I have to add, however, that finishing a housekeeping duty quickly out of spite is different than being efficient. I do EVERYTHING quickly, but I still take great joy in it. I just recognize that the upkeep of my home is supposed to serve others. God is sovereign whether the dishes are done or not. The purpose of the dishes getting done is a) clean dishes on which to eat and b) a peaceful place for my family to rest together. So I don’t spend hours doing the dishes (for example.) I do them efficiently and then move on so my family can spend time together. I have found that doing the Flylady routine keeps me on track. There are times that I have gone off her what she calls Flight Plan because I will notice another part of the house needs to be done. 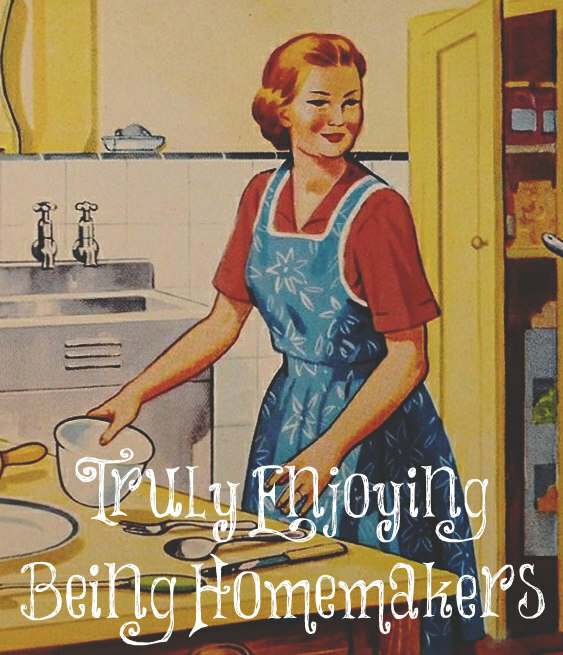 I enjoy being a homemaker and I really wish pastors would teach this from the pulpit. That will never happen because most pastors have wives who work outside the home. Exactly, Regina! The pastor I had growing up, his wife worked full time so we rarely saw her. I love Fly Lady too! I adapt her routine to suit my family/life but it’s really, really good. I think the main thing I got from it was to set a routine and stick with it because consistency gets results. But also, just the way she challenges us to take pride in our home, and in our housekeeping, and challenge us to WANT to make our homes beautiful/peaceful places, rather than feeling like housework is beneath us and getting resentful. I use the Clean Mama routine. She breaks tasks down so that you complete one heavy job daily (cleaning all the bathrooms, dusting, mopping, etc.) and keep up with everyday work (laundry, cleaning the kitchen, clearing surfaces and putting things in their proper place, and decluttering). She even has recipes for homemade cleaners on her website which are inexpensive and effective. Very useful site, especially for those of us who are older or have a disability that makes keeping up with daily work more complex. I have learned over time that my goal needs to be clean and comfortable, not perfection so my family can relax in our home without worry. I LOVE being a “home mom” as my littlest calls me. It has been my dream since I was a little girl. I would much much rather be cleaning toilets and floors, etc. than going to a job away from my kids all day! My husband works from home so he doesn’t really have clothes needed ironing and our dryer steams so it’s a blessing! But I will iron crisp lines if he needs. When he travels, I pack his stuff (Yup! I pack for him!) and I make sure 1)his stuff is folded as to wrinkle less and 2) his hotel has an in-room iron, just in case. Funny story, I could barely iron when I first got married. My husband (retired Marine) taught me how to iron perfectly. Ha. Some of my old friends were exactly how you described. All kids were in school, they had housekeepers, order those meals online that came pre-separated, and their husband’s did laundry. I mean, what did you do all day!!! Be blessed that you can stay home. Love on your husband by showing him you appreciate his hard work. And I’ve been so blessed by this and many of your posts. Keep speaking truth! Thank you, Katie! Yes, being a “home mom” is all I’ve ever wanted to be. My little 7 year old granddaughter told me the other day that she wanted to grow up quickly so she could get married and have children! Yes, the word here is “enjoy.” we can make keeping the house fun. I put music on to do any housework chores or listen to something funny on radio. And unlike working for a boss, we can pace ourselves (very important for those of us with chronic illness) and just do what we can do, when we can. I thank God that keeping the home today is easier than it used to be- It frees up time for mothers to enjoy playing with their children, or even homeschooling older children, or reading a novel. and a woman has time to make herself look beautiful for her husband when she not rushing home from a 9 to 5 job.